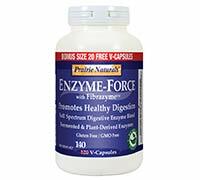 Digestive enzymes help the body to break down and use the nutrients from fats, carbs, proteins, sugars and fibers. They are produced by the body, mainly in the pancreas, but also the stomach and salivary glands to act on food in the stomach, mouth and small intestine. Production of pancreatic enzymes is decreased by stress, caffeine, alcohol, illness, pregnancy and simply with aging. Therefore, using them daily has numerous benefits, not only to the digestive process, but overall health. You may not think of them as you compile your supplement shopping list, but enzyme products can be a smart choice for packing on muscle mass. Traditionally, enzymes are known as a digestive aid, but studies have shown that they also play an important role in recovery from high-intensity training, making them a prime addition to a bodybuilding nutritional program. Before the protein and carbohydrates we eat can be used for muscle growth, stored enzymes must be released from the digestive system. Three main classes of enzymes break down foods: amylases break down carbohydrates, lipases break down fats and proteases break down proteins. Although these enzymes are naturally produced and stored in our bodies, they can also be obtained from certain foods and dietary supplements. Bodybuilders and hardgainers looking to pack on mass can use enzyme supplements to help their digestive systems handle the large amounts of calories they need to consume; the enzymes help utilize more food so those nutrients can be put to use for muscle building. Of specific benefit are protease enzymes, as it demonstrated that a specialized blend of enzymes added to a whey protein drink dramatically increased blood levels of amino acids over drinking whey protein alone. Essentially, more of the whey protein was digested and absorbed when the enzyme supplement was included with the drink, allowing more of the amino acids from the whey protein to enter the circulation and be available to the muscles. Digestive Enzymes have also been shown to decrease the production of molecules that cause inflammation while increasing levels of anti-inflammatory substances. Excessive inflammation can delay muscle recovery and therefore slow down muscle building - by limiting the amount of inflammation that occurs after an injury, the regeneration process can begin sooner. It is also possible that proteases speed recovery through their role in increasing amino acid absorption, which would provide more available aminos for rebuilding damaged muscles and joints. This means that enzyme supplements may not only aid recovery from an injury, but they may also help muscles recover from intense weight training. Be sure to take enzymes with food, to avoid irritation. Individuals with stomach ulcers should not take enzymes, as they could irritate ulcers. Choose a formula that contains some or all of the following enzymes: trypsin, chymotrypsin, pepsin, pancreatic enzymes, bromelain and papain. Bromelain can also be obtained from fresh pineapple; papain from fresh papaya.